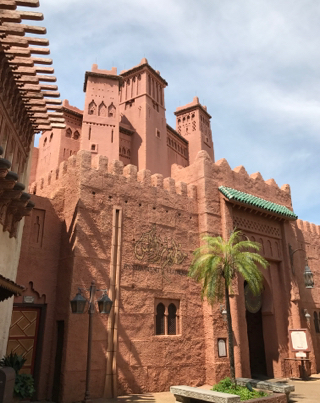 Morocco has always been one of my favorite World Showcase countries at Epcot. When you walk to the back of that pavilion, you truly feel like you've been transported to a different part of the world. This is the exterior of Restaurant Marrakesh, a unique table-service dining location.